The communities, state parks and historic sites included in this tour offer a “great get-away vacation” to some of the most scenic and historic places in Illinois and the Midwest. This is where the Lewis and Clark National Historic Trail begins. Where you can relive history and discover America the Beautiful as you circle on and off the trail in Illinois. An wide array of attractions awaits visitors in the East St. Louis area. They include the Frank Holten State Park, the Gateway Geyser and the Malcolm M. Martin Memorial Park. The Greater St. Louis Air & Space Museum and the Cahokia Courthouse State Historic Site are located in Cahokia. Visitors can see the Cahokia Mounds State Historic Site in Collinsville or Horseshoe Lake State Park in Granite City. Belleville attractions include the Henry White Experimental Farm, the Schmidt Art Center & Gallery, the Cathedral of St. Peter and the National Shrine of Our Lady of the Snows. The world’s largest Catsup Bottle is at Collinsville. 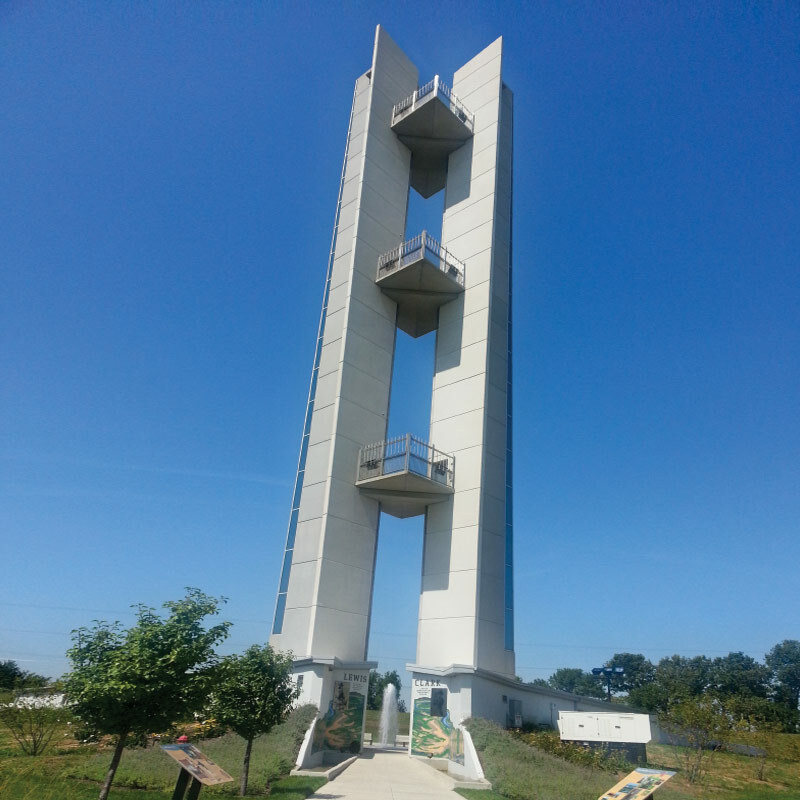 Hartford is marked by the inspiring 150 foot high Confluence Tower where visitors get a spectacular view of the Missouri and Mississippi River Confluence. 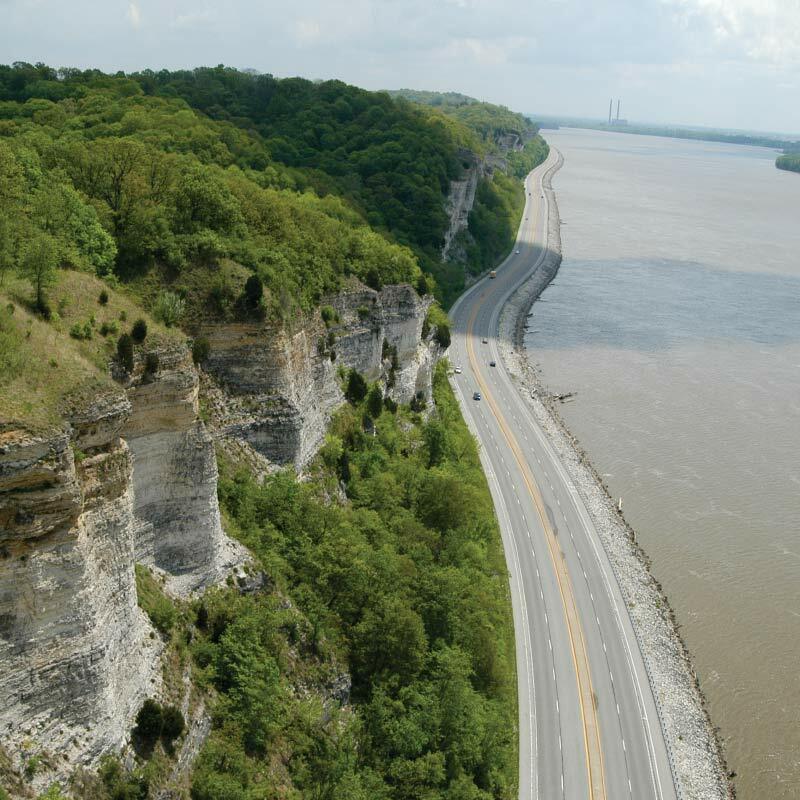 The tower’s welcome center also serves as the gateway interpretive center for the Meeting of the Great Rivers Scenic Byway, a 33-mile stretch of the Great River Road Scenic Byway filled with natural and historic scenic wonders. The Lewis & Clark State Historic Site includes the Lewis & Clark Interpretive Center with a full-scale replica of the Lewis & Clark Expedition’s keelboat, a re-constructed Camp River Dubois, their Winter Camp from 1803-04, and exhibits portraying the legacy of Corps of Discovery who in 1804 ventured into the vast wilderness beyond the Mississippi. Camp River Dubois is temporarily closed for repairs, but tours of the cabins and area around the camp are available.The Hartford area also has great scenic hiking and biking trails along the mighty rivers. Trail travelers can enjoy great scenic vistas as they bike along the Sam Vadalbene Bike Trail, viewing eagles and watching river traffic. The Ellijay P. Lovejoy Memorial, the abolitionists’ newspaper editor, the Underground Railroad Tour, and the Robert Wadlow Statue, the life-size sculpture of the tallest man in the world, are also at Alton. Across from the mouth of the Illinois River is the Two Rivers National Wildlife Refuge where the regal bald eagles fly. 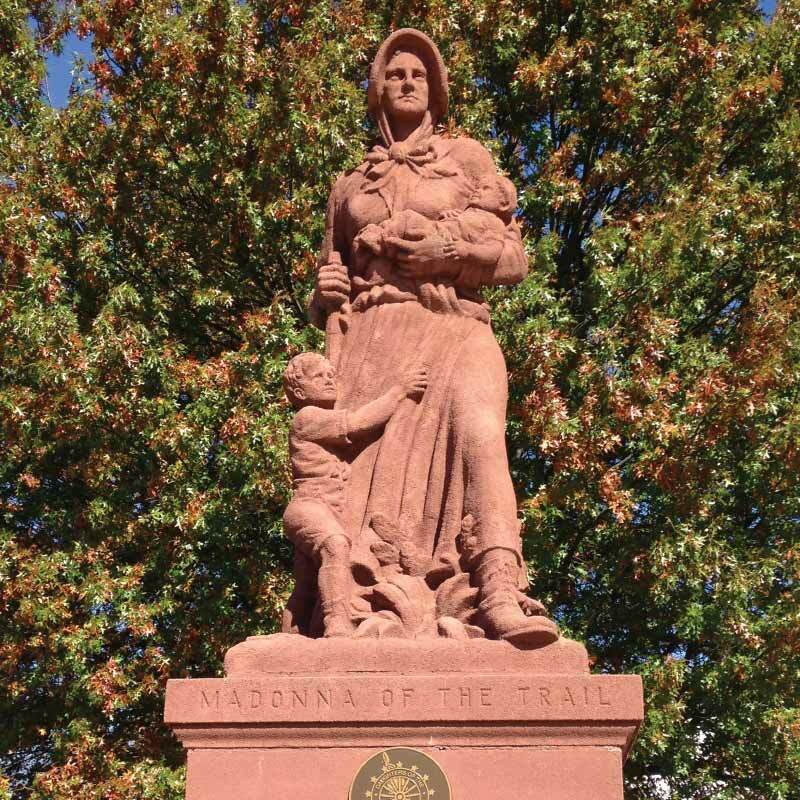 Driving east on I-70 to Vandalia, vacationers will be inspired by one of the 12 Madonna of the Trail sculptures honoring pioneer-era mothers erected in 1928 on the historic Vandalia Statehouse State Historic Site. 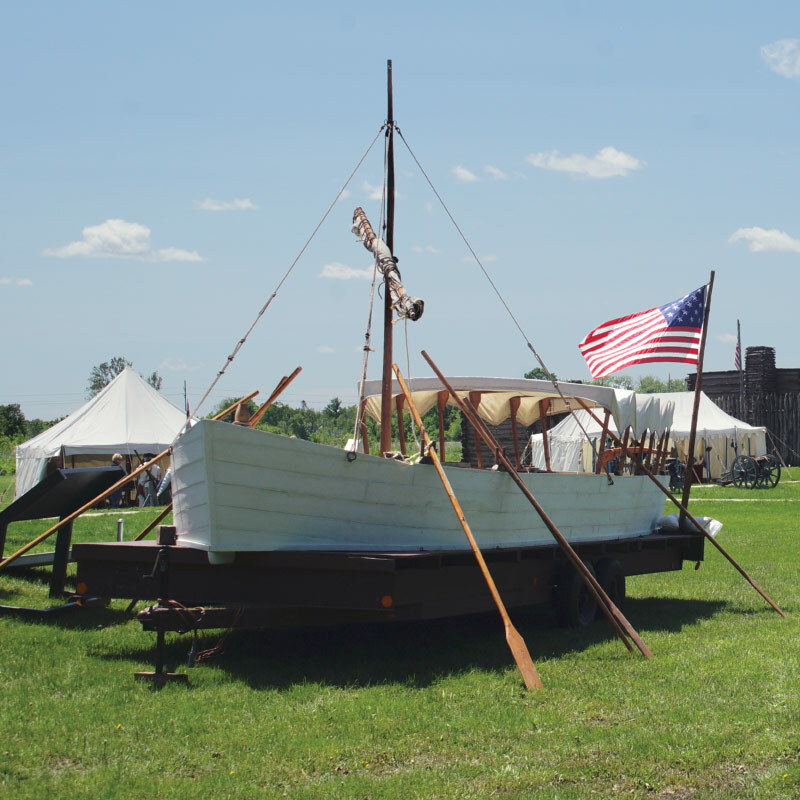 Vandalia is on the Historic National Road Scenic Byway and visitors can experience the area’s heritage at the National Road Interpretive Center, the Fayette County Museum and the historic downtown district. Vandalia is where Abraham Lincoln began his political career, gave his first anti-slavery speeches and debated Stephan A. Douglas. The city houses a unique Lincoln Collection and visitors can take in the picturesque scenery at Lincoln Park across from the Old State Capitol. Kids will enjoy the huge fire-breathing Kaskaskia Dragon sculpture adjacent to US 40. The massive Carlyle Lake Fish and Wildlife Area is south of the city. 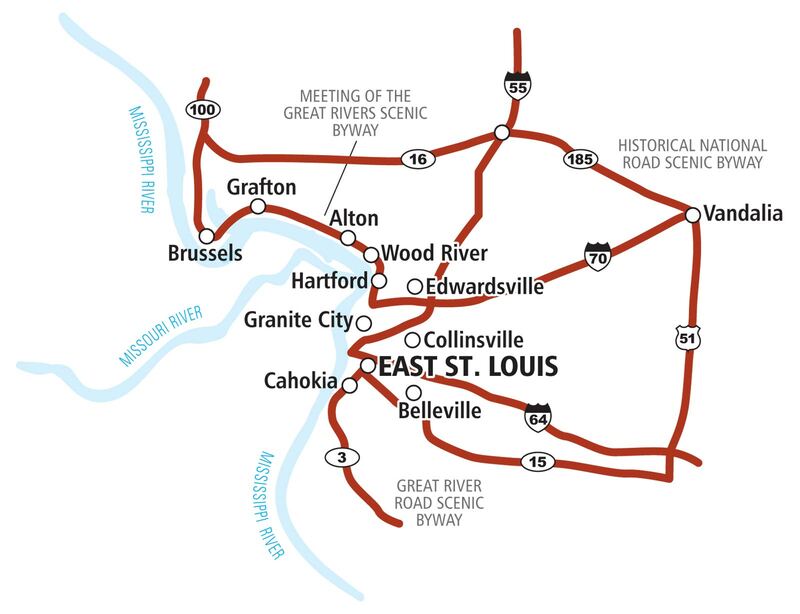 Returning west to St. Louis this loop tour includes Edwardsville that features the Children’s Museum, the historic 1820 Colonel Benjamin Stephenson House, the Watershed Nature Center, plus one hundred miles of bikeways on the Madison County Bike Trails.